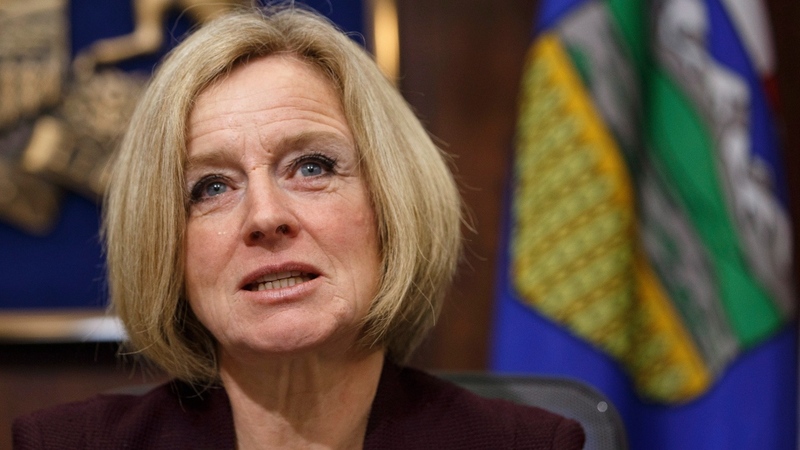 Notley made the comments Monday after announcing the province will cut output of oil for the first time since 1980, by about 325,000 barrels per day. The goal is to push up the price of Alberta crude, which is trading at such a low price that it’s costing the province $80 million daily. In an interview with CTV News Chief Anchor and Senior Editor Lisa LaFlamme, Notley said that she believes the cuts are necessary because there are currently 35 million barrels of oil sitting in storage, and there is not enough pipeline capacity to transport it to markets where it can fetch a profitable price. “What we need to do is spend less time blaming, and more time fixing and just focusing on getting the job done because at the end of the day this is fundamentally important to our economy,” Notley said. While the Conservatives have consistently supported pipeline construction, the Liberals refused to say during the 2015 election whether they would champion the building of several proposed pipelines. In November 2016, they approved the Trans Mountain pipeline expansion and Enbridge’s Line 3, but simultaneously quashed the approval of the Northern Gateway pipeline and passed legislation banning crude oil tankers from traversing B.C.’s northern coast. In May, the Liberals spent $4.5 billion to buy the Trans Mountain pipeline in order to ensure it gets built, but they were told in August by a federal court that it could not go ahead due to a flawed environmental review and improper consultation with Indigenous peoples. Notley said she has asked the federal government to help the province pay for 7,000 railcars that it’s buying in the hopes of shipping 120,000 barrels of oil per day starting next year. Natural Resources Minister Amarjeet Sohi told CTV’s Power Play Monday that he agrees the lack of pipeline capacity is a problem. But he blamed the previous Conservative government. “We need to do more and we’re moving forward on fixing this system and moving forward on (the) Trans Mountain pipeline expansion in the right way,” Sohi added. Members of the oil industry, meanwhile, were split Monday on whether production cuts are a good idea. Other producers were less amenable to the idea. Imperial Oil CEO Rich Kruger warned of “unintended consequences” to competitiveness. Notley also wants the federal government to overturn the tanker ban and to rethink pending legislation, known as Bill C-69, that would change the pipeline approval process. “They need to fix Bill C-69, because in its current form, there is too much uncertainty and we're never going to be able to get these kinds of projects moving,” Notley said. “I believe what we’re seeing is a systematic strangulation of the energy sector by this Liberal government,” he said.